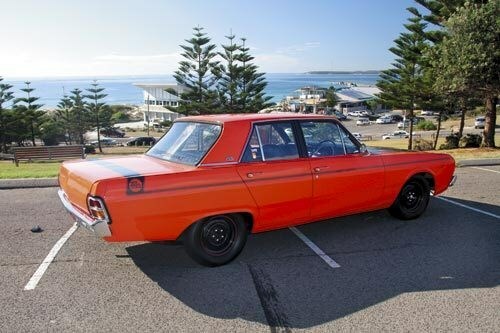 I suppose it all began with my first Valiant, which I purchased in Melbourne back in 2001. 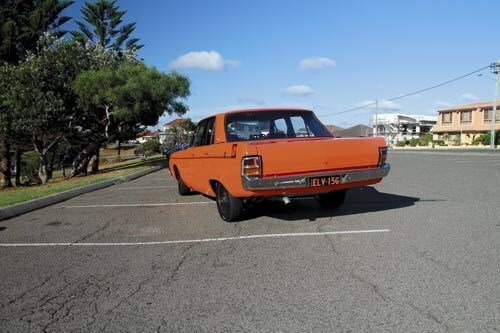 I’d always liked the look of old Valiants and after purchasing a white VF Pacer from an auto electrician my Val leanings were confirmed. From that point on I had two more Pacers but neither were really in outstanding condition, and with a lack of garage space no opportunities were really present to work on them. 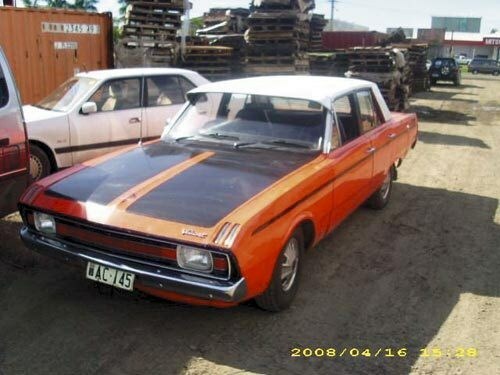 After listing my second VG Pacer on the Valiant Pacer register I noticed an A88-optioned VG Pacer that was located in Fiji. 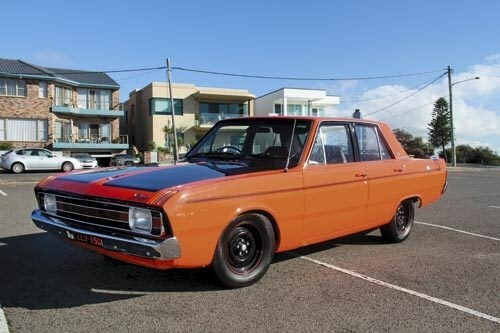 I had always wanted the Hemi Orange paint scheme with the A88 stripe option but clearly it was an inconvenient choice; even if the owner was interested in selling it I had to get over there to see it and then get it back to Australia. As fortune would have it I was working as a Project Engineer around that time and I was requested to supervise some major upgrade works to a sugar mill in Fiji. On this news, I contacted the owner, Denis, and he replied within the day, so we arranged to meet at the airport. When I arrived I realised the car clearly needed rescuing as it was on a downward slope to the wreckers after 40 years on pothole-ridden Fijian roads. 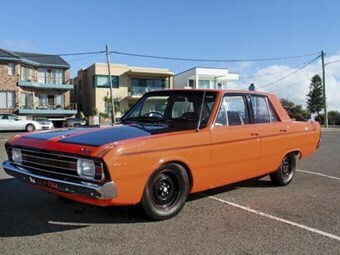 After a few days we finally landed on a price of $3500 and I set to work on the logistics of getting it back to Sydney. For all those people that plan on bringing cars back into the country, the hidden costs can be outlandish so do your research! All told it cost me approximately $6000 just to get it back. Still, I felt having an unmolested, numbers-matching Pacer with hard-to-get parts attached justified the cost. The Pacer finally arrived and I took it out to my father’s property under its own power as the car was still registered in Fiji! Upon my arrival his first words were, "Did you lose your way to the tip?!" After some explanations we set to work on stripping the car, finding the odd Fijian lizard (thank you Customs for the $800 quarantine fee, it was clearly worth it). Upon strip down it was amazing to find all the doors and removable panels were 99 per cent rust free. 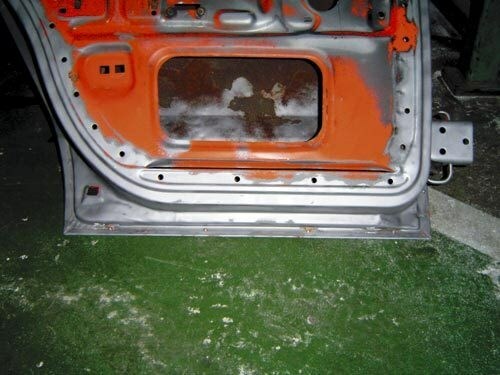 The main issues were dents, especially to the left rear quarter panel which only became evident after the car was completely plastic bead blasted. Sadly Dad passed away at this time but this only fuelled my fire to get the car done. It was handed over to Bluett Body Works who did an amazing job on smoothing out the dents and getting those classic lines back into shape. 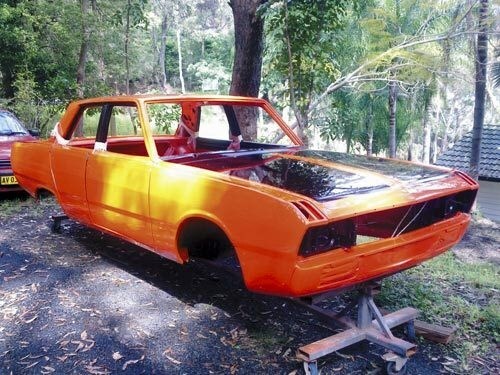 As most car enthusiasts know, the body takes the longest and can costs tens of thousands of dollars to get right and the Pacer was no exception. 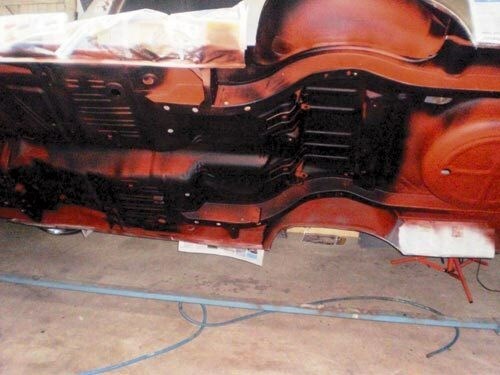 It took about three years all told and there is always more to it than you think once you include blasting, moulds, dash, underbody, materials etc. The mechanicals were my department and while the body was underway I rebuilt the gearbox and diff to factory specs. 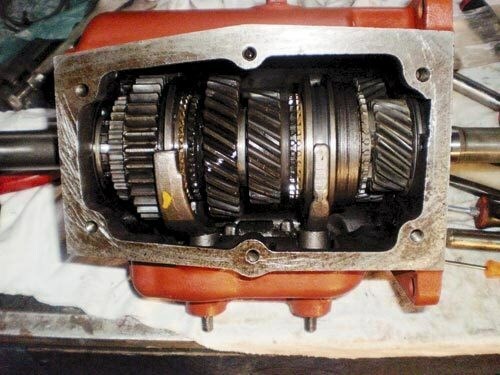 The original close-ratio Pacer gearbox has completely new bearings, seals, synchros and all wear parts, the gears themselves being in amazing condition. Inside the diff casing was the D53 limited-slip option. The cluster gears had seen better days so the LSD centre was replaced; the bevel and crown remained in excellent condition and were retained. 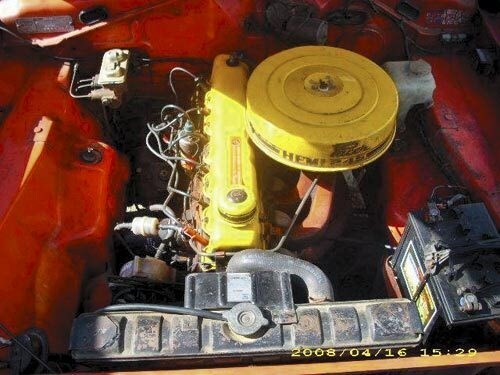 As for the Hemi 245, it was given to PP&R who did a great job getting it back to spec and looking amazing. 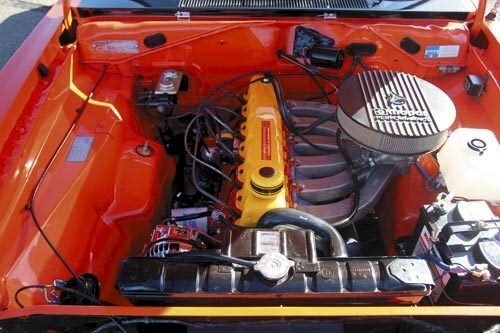 A special note on this: Many people believe that slant engines were fitted to VG export vehicles but this Pacer clearly disputes this. 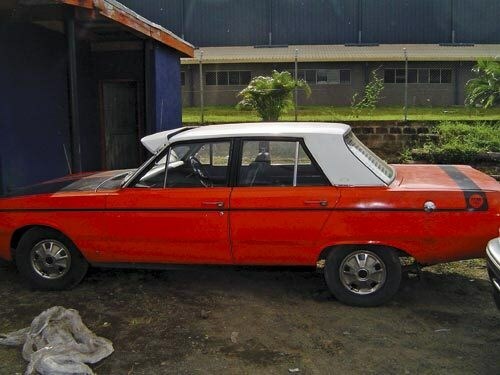 One of the main advantages of its remote location and the possibility of this being the only Fiji VG Pacer was the fact that parts could not be sourced, so all items on the car were as delivered. This was confirmed by its original owner who had it for 30-plus years before Denis. 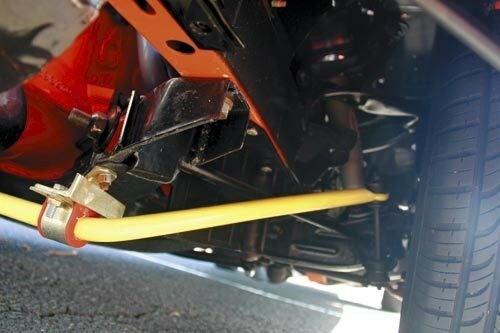 Suspension was next with all components blasted and powder coated and new bushings, ball joints and tie-rod ends fitted. Thanks to all those Fijian pot holes and a full suspension overhaul, the wheel alignment took six hours! The brakes were completely overhauled with new parts sourced from PP&R. The 40-year-old wiring was replaced and finding some decent taillight surrounds took longer than the build! The bumpers were straightened and rechromed, the steering wheel reconditioned and new armrest moulds sourced from the US…the list goes on. 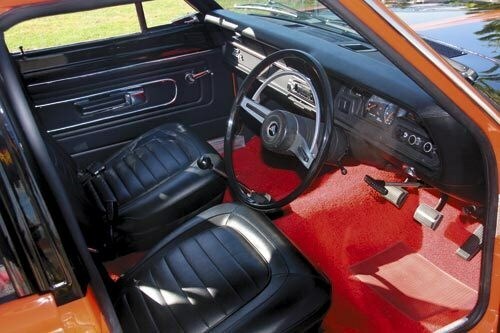 The black vinyl interior was retrimmed and the original Radox red carpet sourced. For the most part the car was kept 100 per cent original, except for electronic ignition, four-barrel carb, one and three-quarter inch mandrel-bent extractors and the look of plain wheels with the red pinstripe. 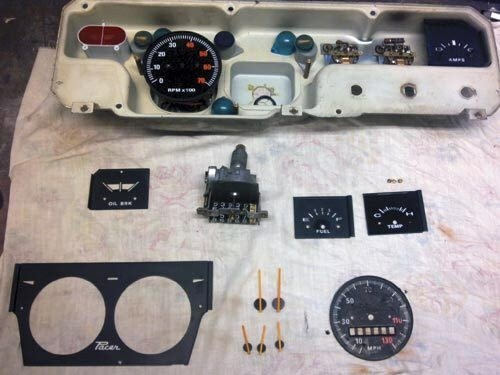 All the original hard-to-get parts were retained and are easily refitted to the car. The Pacer was finally complete and did a maiden voyage to Stanwell Tops where it performed quite well. 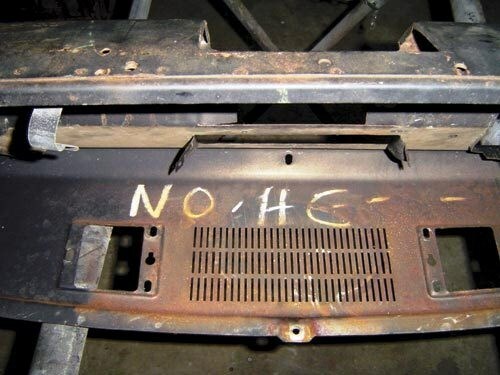 As with any old car, though, it is never quite finished. One of the few wear parts that wasn’t changed was the fuel gauge and the sender has started playing up after the first drive – thought I’d got away with that one! The journey of this car has been amazing, surprising, challenging, soul destroying, character building and totally rewarding. Only those that build a car from front to back can understand how monumental the job becomes – physically, emotionally and let’s not forget financially. I would like to thank Phillip and Clay at Bluett Body Works, Ray Senior and Junior at PP&R, my tolerant, awesome wife Olivia and my two wonderful kids born during the build, Adelaide and Julius (productivity was set back at this point!). The car is, of course, dedicated to my dad.